Manning a remote weather station in the Rocky Mountains can be a lonesome, boring job. In 1876, one such person who held this position was Private John O'Keefe of the U.S. Signal Service (which later became the Army Signal Corps). As attendant to the Pike's Peak Signal Station, O'Keefe's duty was to collect meteorological information for the government. Since this job was neither exciting nor glamorous, O'Keefe passed the time by sharing tall tales with his infrequent visitors, and one of his occasional drinking companions was a newspaper editor by the name of Eliphat Price, to whom Private O'Keefe told the most remarkable tale. According to the signal attendant, large numbers of carnivorous mountain rats lurked in the rocky cracks and crevices of Pike's Peak. These nocturnal rats were dangerous, and O'Keefe constantly had to remind his wife and daughter to be on the lookout. One night, while O'Keefe was in his office working on weather reports to send to the government, he heard a chilling scream. It was his wife. She ran into the office and warned her husband that the rats were attacking-- they had swarmed the kitchen and devoured a side of beef in the blink of an eye. Then they made a beeline for Mrs. O'Keefe, leaving deep lacerations in her face. O'Keefe, thinking quickly, shielded himself and his wife by wrapping her in a sheet of zinc-plated steel from the stove. He then put the zinc stovepipes over his legs and fought off the rodents with a heavy club. But the army of rats was too much for the private to handle, and Mrs. O'Keefe saved the day by grabbing a coil of wire from the telegraph machine and tossing it to her husband, who hooked it to a nearby battery and electrocuted the rats. When the invasion was over, the O'Keefes went searching for thier infant daughter Erin, who, tragically, did not survive. The rats had climbed into her cradle. All that was left of her was the skull. Private O'Keefe buried the skull beneath a pile of rocks near the summit of Pike's Peak, marking the grave with a wooden marker, reading: "Erected in Memory of Erin O'Keefe, daughter of John and Nora O'Keefe, who was eaten by mountain rats in the year 1876." 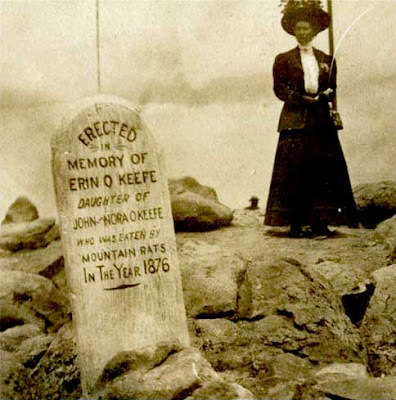 After O'Keefe took his newspaper editor friend, Eliphat Price, to the gravesite, Price hastily wrote down the tragic story of Erin O'Keefe. After the story was published in the local paper, hundreds of visitors made the pilgrimage to the signal station to view the infant's grave and pay their respects. Of course, the story was a complete fabrication. 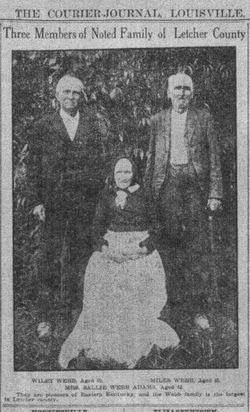 Not only was John O'Keefe unmarried, he didn't even have a child. 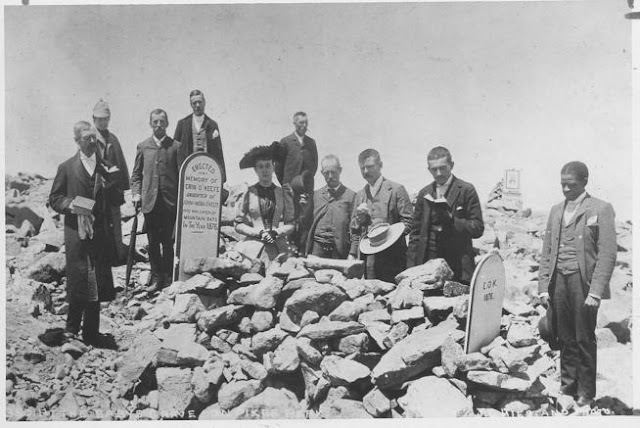 So who-- or what-- was really buried atop Pike's Peak? The signal attendant later admitted that it was the government mule he had been given as a means of transportation. When O'Keefe retired in 1881 he was a given a banquet by the U.S. Signal Corps in which he was celebrated for his pranks and elaborate hoaxes.